I read one volume of this series in the late 2000s. The colours are very clear, with little shading, I believe the name of the novel is a one-word title (something like Nebula or the name of the location they're exploring) and the planet is very green, constructions are kind of round. The crew was formed by two or three men and one woman. 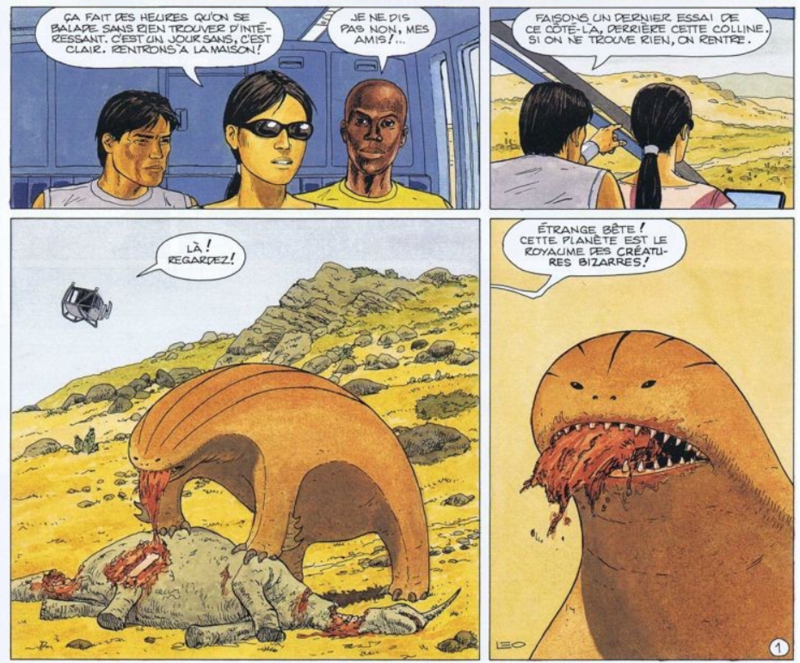 This is Antarès, which ran for six issues from 2009 to 2015. It's the third cycle of Luiz Eduardo de Oliveira (aka Leo)'s Les Mondes d'Aldébaran (published since 1994, and still going). The second issue's cover depicts the green planet. The first cycle, Aldébaran, followed (among others) Kim, a teenager whose village got attacked by a marine-like creature. It was revealed that said creature (the mantrisse) lives in symbiosis with beings it chose, and was closely related to Aldébaran, the first colonized planet, with which Earth had had no contact since colonization. 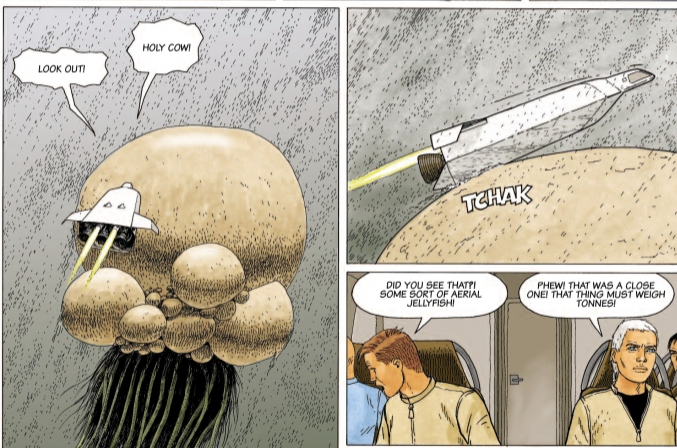 In the second cycle, Bételgeuse, after communication between Earth and Aldébaran had been restored, Kim goes on a rescue mission to find any survivors of an expedition towards Bételgeuse, the second colonizable planet found. Long story short, Bételgeuse's colonization is abandoned for various reasons. Not the answer you're looking for? Browse other questions tagged story-identification comics space-exploration or ask your own question. What sci-fi novel has a technology called “Plaax” and a character named “Gifon”? Short story published in a magazine about spider-women on an alien planet? Novel where main character discovers dragons hidden in castle?